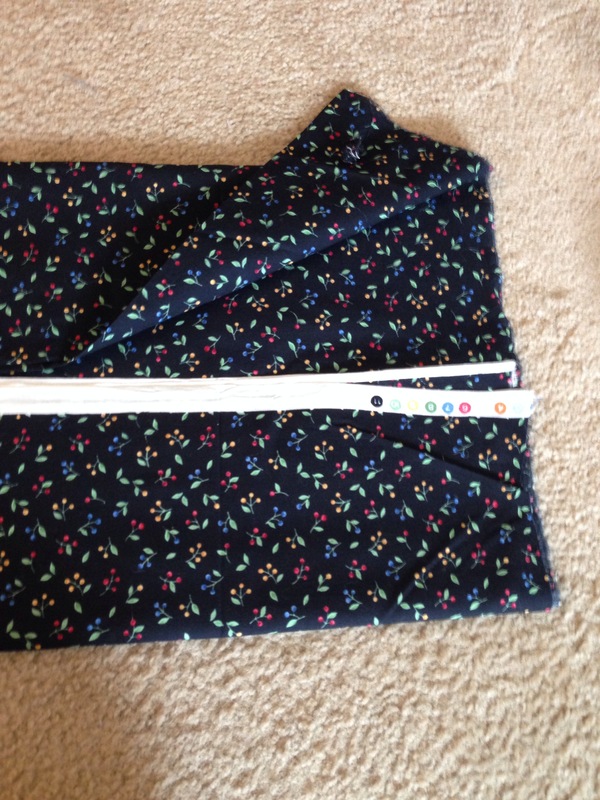 I decided to start on my book- and stash-busting project by tidying up and getting a handle on what fabric I owned. This may take a while. I shall consider it an ongoing project. This is what over 100 yards of fabric looks like: about two cubic feet. Think of that next time you look at your bins, people. It’s kind of crazy in there. 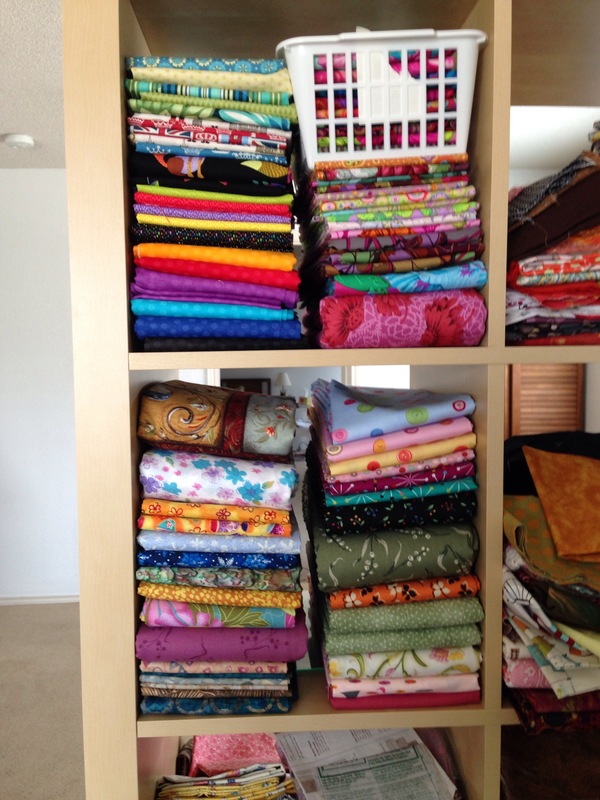 One hundred yards of fabric: about two cubic feet. There are a few tools and techniques I’m using to fold my stash so that it fits in its cubbies. My cubbies are 13”x13”x15”deep. This method works best for pieces 2/3 yard and longer. First, I lay the fabric out as it comes off the bolt. Lay out on floor as it comes off the bolt, selvages together. Next, I fold both edges to the center. 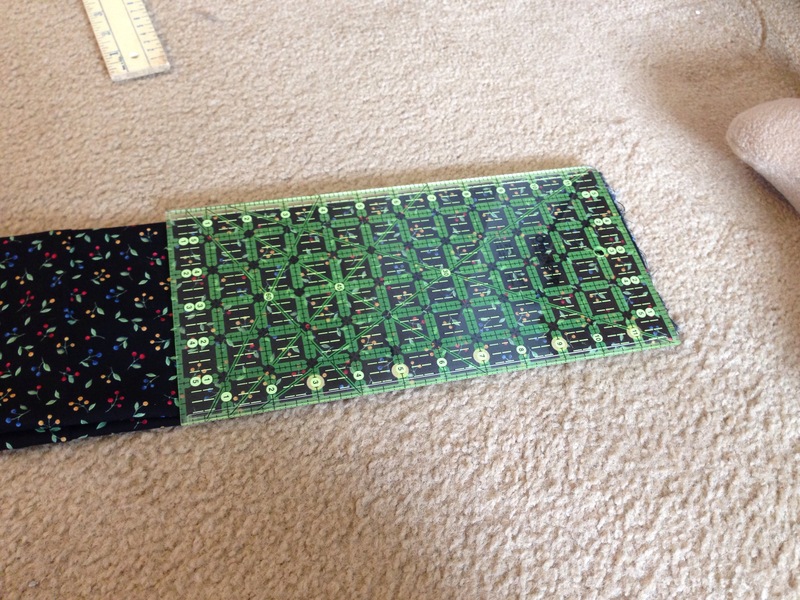 Then fold the fabric again, so it is now eight layers, and about 6” wide. All your selvages are hidden. Step 3 – Fold outside edges together again. All selvages will be hidden in the middle. 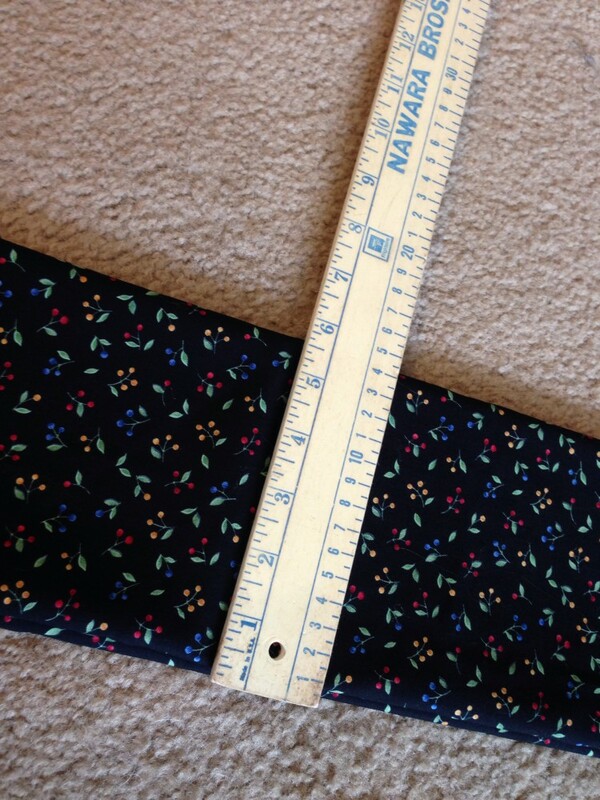 Finally, I wrap it around my 12” ruler (the long way) until it is in one nice, compact bundle. 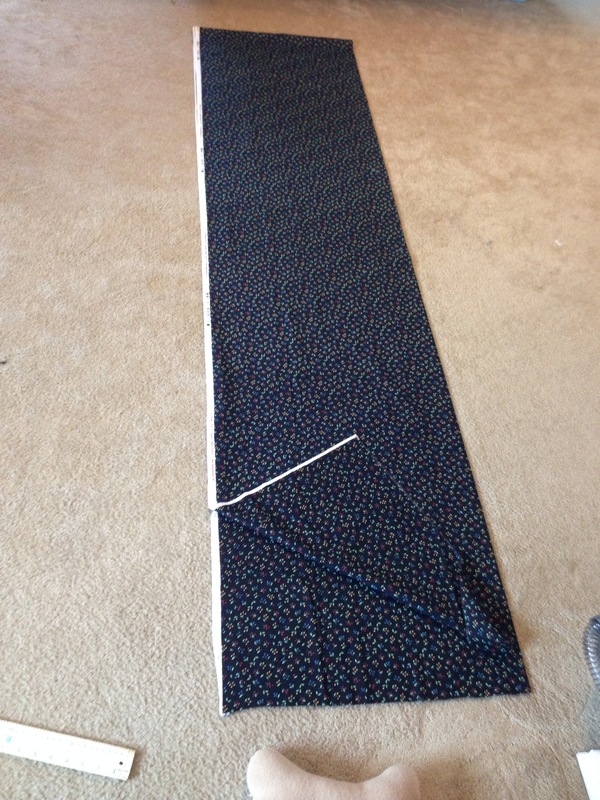 One of the pieces in the stash photo is eight yards long, so I know this works for large pieces. 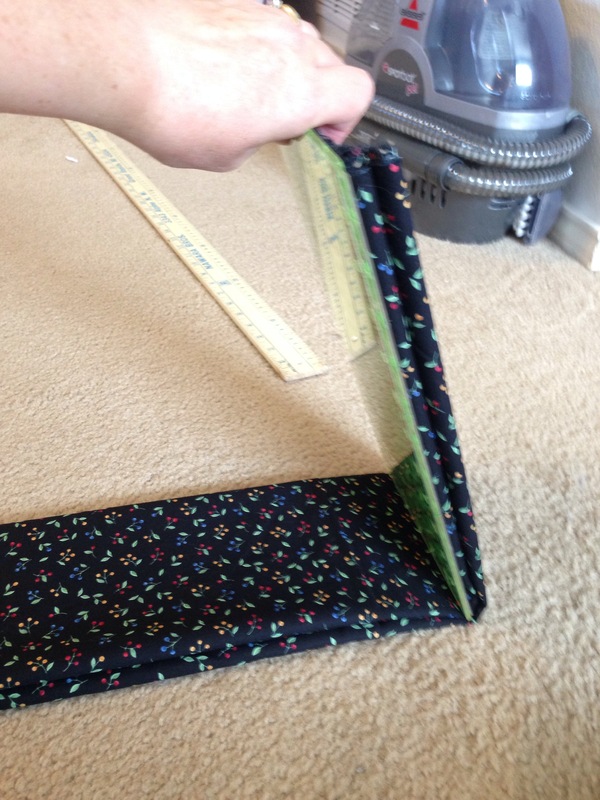 I fold half-yard pieces around the 6” edge of my ruler, so they are only six inches deep. This sounds like a lot of work, but we pay good money for our fabric! We should treat it with respect, as we would any other possession. Besides, isn’t it pretty? How am I keeping track of this? I am using a wonderful iPhone app that happens to be free! 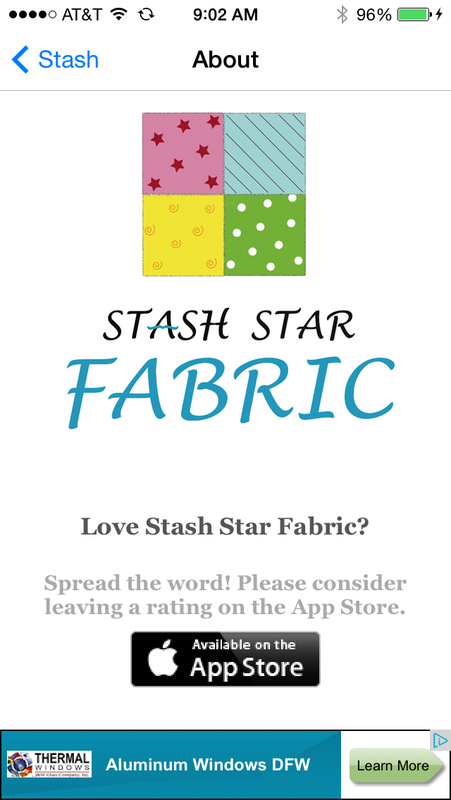 It’s called Stash Star Fabric. I am afraid that it does not total your fabric amounts, but we’re talking free app, here. Out of curiosity, I purchased a similar app, and it did not perform nearly as well. Sometimes free is better, even if you have to deal with the banner ads. This entry was posted in Quilting, sewing, StashBUSTED!, studio, tutorial and tagged Craft, Drawing, fabric, organization, sewing, StashBUSTED, stashbusting, studio, technique, Textile, Work in Progress. Bookmark the permalink. Thank you Lisa! I was wondering what your method was for making those nice consistent folds. Nice tips, Lisa, and thanks for testing out a crafty app for us.